The Evocati Order is a circle of force adepts who stand as adherents to the core principles of the Trade Federation, and, especially, for the Trade Federation. 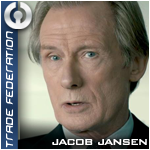 The members idealize the very concept of the Trade Federation, and are its staunchest supporters, working to further the Trade Federation through their words and deeds. The Six Virtues of the Evocatus expresses the values the members uphold to accomplish their task, and are Respect, Courage, Duty, Devotion, Balance and Wisdom. The Order is representative of all aspects of the force, and welcomes all force adepts in its service to the Trade Federation. 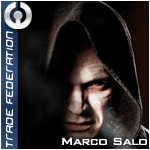 The Order houses two Conclaves, the Corporis Conclave and the Mentalis Conclave, each comprised of three Sects, so that all force adepts, regardless of nature or persuasion, can find acceptance within a Sect to pursue their calling in service to the Trade Federation. The Corporis Conclave is comprised of members who rely more on their strength and body, while the Mentalis Conclave is comprised of members who rely more on their intelligence and mind. 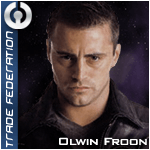 Though neither, strength nor intelligence is exclusive to one Conclave above the other, they are at the core of each Conclave&';s service to the Trade Federation. The Sects serve as associations of force alignment for the Conclaves to further broaden and enhance each Conclaves' abilities and aptitudes. The Inner Circle is an exclusive gathering of Elders of the Evocati, each having shown their irrefutable adherence to the Six Virtues of the Evocatus and to the Trade Federation. At any given time, five Elders reside within the Inner Circle and are responsible for the overall direction and leadership of the Evocati Order with each member holding the same authority as the other Elders. A Grand Master is appointed from the group of Elders to manage the daily administration of the Evocati Order. 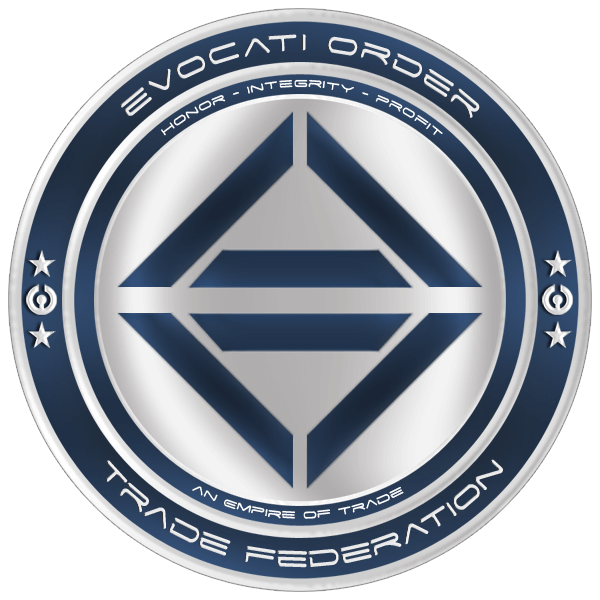 The Evocati Order was formed by Viceroy Jacob Jansen to serve and promote the core principles of the Trade Federation; Honor, Integrity and Profit. To achieve this, and remain open to all aspects of force adepts, the Order was to be established with two conclaves: the Conclave of Justicars and the Conclave of Archons. Within each Conclave, three sects were to reside, each representing an aspect of the force; black, grey and white. Each sect would also represent and identify with one of the Six Virtues of the Evocatus: Respect, Courage, Duty, Devotion, Balance and Wisdom. However, as the Evocati Order came to be on Year 10, Day 150, and Viceroy Jansen became the first Grand Master of the Evocati Order, the initial trappings of the Evocati Order envisioned by Grand Master Jansen were put to the side as he worked with Olwin Froon and Kage Renbukai to encourage and grow the newly formed Order. The assistance of Olwin Froon and Kage Renbukai in this period, resulted in them becoming the first Masters of the Evocati Order. Grand Master Jansen, Master Froon and Master Renbukai then formed the Inner Circle of the Evocati Order to provide continued leadership with the Order. When it became apparent to Grand Master Jansen that the office of Viceroy would not allow the time for his active leadership over the Order, he stepped down and passed the mantle of Grand Master to Master Renbukai, who was at the time strongest of the Order. 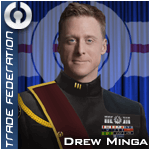 This event further led the Order from the original ideals of Viceroy Jansen, however, Grand Master Renbukai's reign did not last long and he also stepped down. The Inner Circle responded and raised Master Execurus Edun to the position of Grand Master. During his reign over the Evocati Order some steps were taken towards Viceroy Jansen's original plans for the Order, while others were taken away from it due to a reliance on known force customs of the galaxy. For example, with the approval of the Inner Circle, Grand Master Edun changed his title from Grand Master to Grand Lord. This was a decision of Grand Master Edun's to combine known Jedi and Sith titles to symbolize the Evocati Orders balance between the Dark-side and Light-side of the Force. In early Year 15, on Day 62, the Inner Circle announced that Grand Lord Edun had stepped down from his role. Realizing that the position of Grand Master was too great for any one sentient to hold, a Council of Masters was created to aid him in his decision making and to help guide the order. 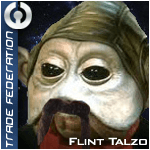 To replace Grand Lord Edun, Flint Talzo was selected to succeed as the figurehead of the Evocati, taking for himself the traditional title of Grand Master. With authority over the day to day operations, the Council of Masters set to work reorganizing the Order to streamline efficiency, strengthen its weaknesses, and to foster the individual alignments of its members. To do this, six Sects were created which exemplified the Evocati%u2019s Six Virtues, allowing its members to place themselves within the Sect they identified with most. During the establishment of the Council of Masters, the Inner Circle deemed it necessary that an individual to govern the Evocati Academy, and so the position of Headmaster was created. The Headmaster was tasked with overseeing the academy and insuring the Evocatis members were actively training and appropriately paired with a compatible master. In time with the Orders restructuring, this position was dissolved and that authority was passed onto the Council of Masters. Today the Evocati Order is stronger than ever, working to defend the Federation and its Viceroy. Ranks of the Evocati Order.